The symptoms of PMS range from breast tenderness, tiredness, and bloating, to mood swings, anxiety, and depression. The body of a woman prepares itself for pregnancy during its reproductive years. This involves the thickening of the uterine lining with blood and nutrients so that a fertilized egg can have the support it needs to grow. When pregnancy does not occur, the lining of the uterus breaks down and is discarded. This is known as menstruation or a period, which is the monthly vaginal bleeding event that women in their reproductive years go through. Many women experience pre-menstrual symptoms. 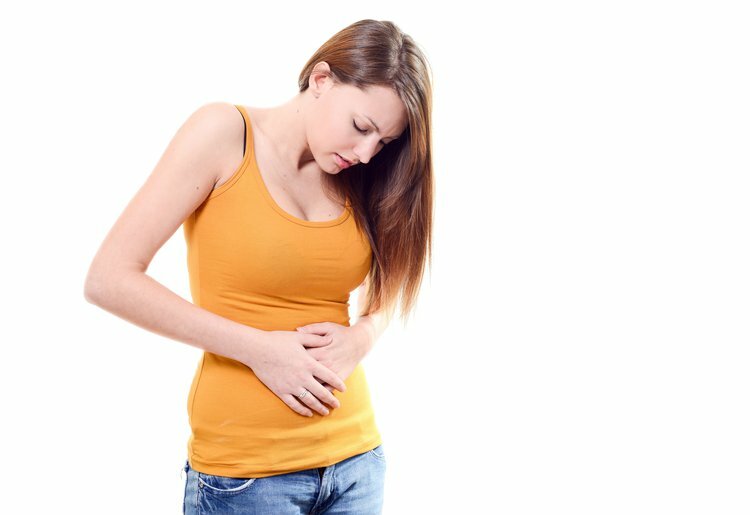 While some women experience mild to moderate discomfort, severe distress is not uncommon before menstruation. The symptoms are collectively known as pre-menstrual syndrome or PMS. About 75% of menstruating women are reported to experience PMS. The wide range of symptoms may start appearing in the second half of the monthly cycle and usually disappear after the beginning of the period. The cause of PMS is not clear. The menstrual cycle is characterized by the rise and fall of hormones at different phases. The hormonal fluctuations are indicated as a probable cause, as are deficiency of vitamins and minerals. PMS is more common in women ages 20 to late 40s, for those who have given birth to at least one child, and those who have either a family history of depression or have had post-partum depression or other mood disorders. Apart from biological and psychological factors, PMS also appears to be related to a variety of social and cultural factors. The symptoms of PMS range from breast tenderness, tiredness, and bloating, to mood swings, anxiety, and depression. In fact, some women find it difficult to perform day-to-day tasks. Many women are also known to suffer from self-esteem issues at this time in their cycles. DO drink plenty of fluids; AVOID caffeinated drinks and alcohol. DO NOT eat food with high salt or sugar content. DO eat fresh vegetables, fruits, salads, etc. DO talk to your doctor before taking any medication. If the symptoms do not improve with self-treatment, or if they get to a point that a woman’s ability to function normally is affected or if a woman fears she’s likely to hurt herself or others, a physician should be consulted. With self and physician-assisted treatments, women suffering from PMS can find relief from their symptoms.